A new year has started, and there are resolutions to embrace, Christmas gifts to exchange, and – perhaps most importantly – a fresh, fully-funded youth ministry budget just sitting there, ready for all your ministry needs. Any youth worker knows how integral budgets are to youth ministry. However, wisely using your budget can be a two-sided sword. On the one hand, having a healthy budget increases the opportunities for doing dynamic ministry, whether that's taking a student out for coffee, or springing for pizza at youth group. 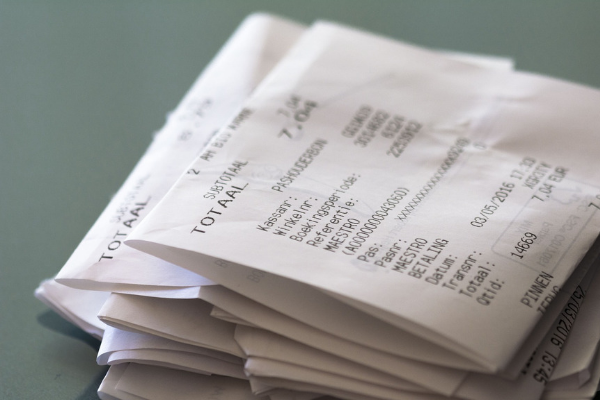 On the other hand, if organizing receipts or keeping up with expenses is new, keeping up with a budget can seem like a monumental undertaking. But it's not impossible! These three tips will make you a youth ministry budget pro in no time at all. Managing a youth budget – no matter how large or small – requires planning. What sort of events do you plan to host this year? How much curriculum will you purchase for Sunday school and small groups? Will youth group require any unusual expenses? What about discretionary (coffee and ice cream with students) funds? You'll want to know, within reason, everything you plan to do in the program year. Knowing (and being honest about) your spending will save you – and the finance committee – major headaches later in the year. This may seem obvious, but many a youth ministry budget has been torpedoed by a head-in-the-sand attitude. If you want to make sure you're not spending over your budget limit... pay attention to it! Every time you turn in a receipt (more on that in a moment), write it down. Keep a ledger or, even better, learn how to make a simple rolling budget. The more you know, as the public service announcement/meme says, the more you'll be able to make informed decisions about when and how to use your budget. Oh, and those pesky receipts? Turn them in! If you find yourself losing them, start a habit of taking pictures of the receipts and uploading them to a cloud-based storage device or using one of the many available receipt tracking apps. Your business manager will be thankful for it. Listen, at some point you're going to go over on your budget. Let's be frank: a lot of this is due to the limited resources churches tend to commit to youth ministry. But that doesn't mean you should spend money haphazardly. If you know you're going to be over budget, let somebody know sooner rather than later so the church can plan. Remember: this is not your money. You are a steward of the church's resources. However, that doesn't mean you can't advocate for yourself or the ministry. If your ministry is growing – or needs more funds to operate effectively – have a conversation with members of the finance committee, your senior pastor, or whoever leads your church's budget process. You might not get the money immediately, but it will set you up for the next year's planning. In closing: Remember to plan, commit and communicate. These three tools will help steer you in the right direction when financing youth ministry. Need more tips for youth ministry? Check out the Youth Ministry Podcast, which features new episodes every Friday with tips, best practices, and interviews from youth leaders.